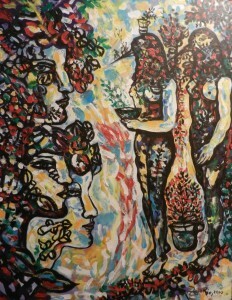 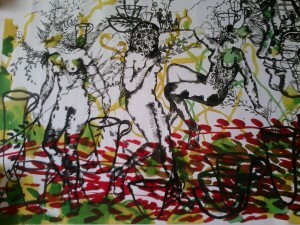 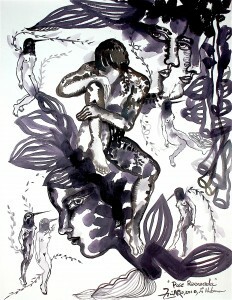 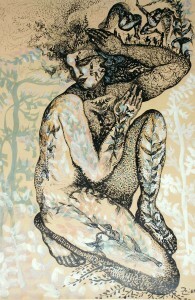 Zaida del Rio, painter, drawer, illustrator, engraver, ceramic decorator, mural painter and poet. Born in Guadalupe, Las Villas, Cuba, on June 3, 1954. 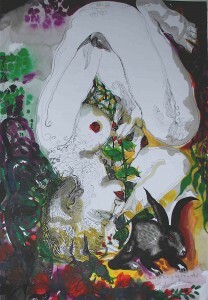 Illustrations holding a singular expression decorate diverse books, magazines and compact discs; she also publishes her book ”Herencia Clásica”, making versions and different interpretations to popular religious prays. 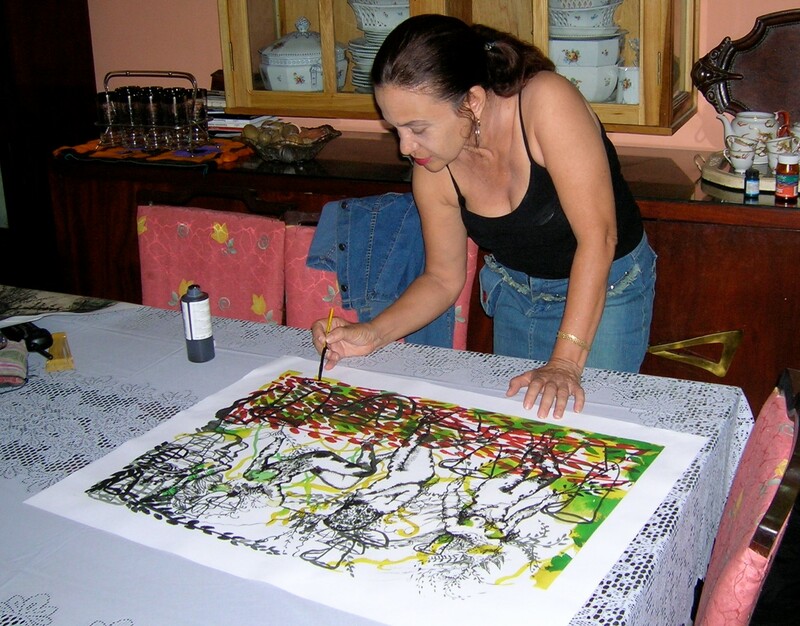 Her paintings are exhibited at state and private collections in Cuba and abroad, also at the National Fine Arts Museum, decorating prestigious places, such as hotels, galleries and theatrical actions.